Welcome to post number six of our color series! Today we’ll be talking about the color purple. 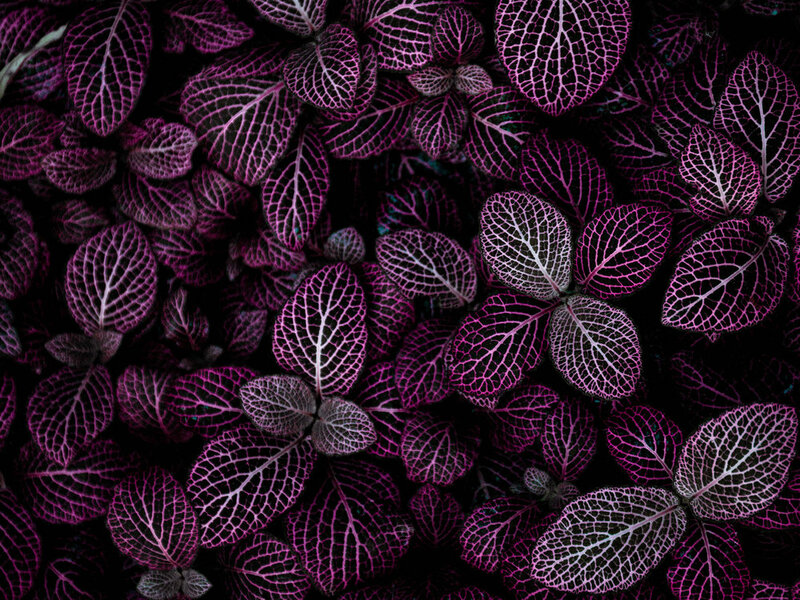 Purple is a spiritually rich and striking color with a long history in royal families. This hue was once considered the forbidden color, and while it's now accessible to anyone, it maintains a bit of its former mystery. I’m excited to share more insight into this luxe and imaginative color and explain how it can best be used in marketing to appeal to your audience. Purple is a sacred color. "To be born into purple is to be born into royalty." Purple has also historically been associated with God's glory and generosity. In many religions, purple is symbolic of virtue and faith. In the Buddhist faith, an amethyst purple stone is considered sacred. In the Christian faith, purple is used during the Advent and Lent seasons. In the US Army, a Purple Heart award is given to soldiers who exemplify outstanding bravery and courage in combat. While purple has very positive connotations, it's a difficult color to work with when it comes to marketing. Nestled between two strong and dominant colors (red and blue), purple takes on some of the aggression found in red and the calm found in blue, creating tension if not carefully considered. When using purple in your brand's palette, consider the temperature of your other colors. If your palette is on the warmer side, add more red to your purple hue. Purple is best used as a supporting color, because it doesn't "pop" the way other colors do. This is mainly due to its short visual wavelength. This pigment was discovered by an ambitious 18-year-old teenager who was experimenting with coal tar in an attempt to find a cure for malaria. Instead, he found a chemically-manufactured shade of purple that took Europe by storm and made him a very rich and well-respected man by the age of 21. However, as it ran its course through fashion and soon became out of fashion, it developed connotations with age. Oscar Wilde wrote, "Never trust a woman who wears mauve. It always means they have a history." However, the experimentation with coal tar later led to the discovery and development of modern day chemotherapy. In the Victorian era, heliotrope signified devotion and was an acceptable color to wear during "half-mourning" - for widows, a whole two years after full-mourning was complete. After a massive outbreak of influenza in the late 1800's, the city was awash with black, grey, and heliotrope for the next year. Such a controversial color of the Impressionist movement, Monet and his peers were ridiculed for their over-use of violet in their landscape paintings. Many wondered if the sunlight had damaged their eyes, if they were truly mad, or if they had super-human abilities to see into the ultra-violet spectrum. Today, many believe that the use of violet came from Monet's belief that shadows were never really black or gray. It was also the compliment on the color wear to a sun-soaked yellow. I want to show you the ways that purple can be used in seasonal palettes. When we talk about a seasonal palette, it doesn't mean that you'll change your brand's colors four times a year. Seasonal palettes are another way that we assign personality traits to palettes and organize visual cues into a cohesive story. When using purple in your brand's spring palette, try a soft pastel purple that won't compete with your primary colors. Think about using floral purples, like violet, heliotrope, or lavender to signify the natural blossoms of the spring season. When using purple in a summer palette, don't be afraid to use the bolder purples available to you. A rich magenta or warm reddish-purple will compliment other bold and vibrant tones in your palette. 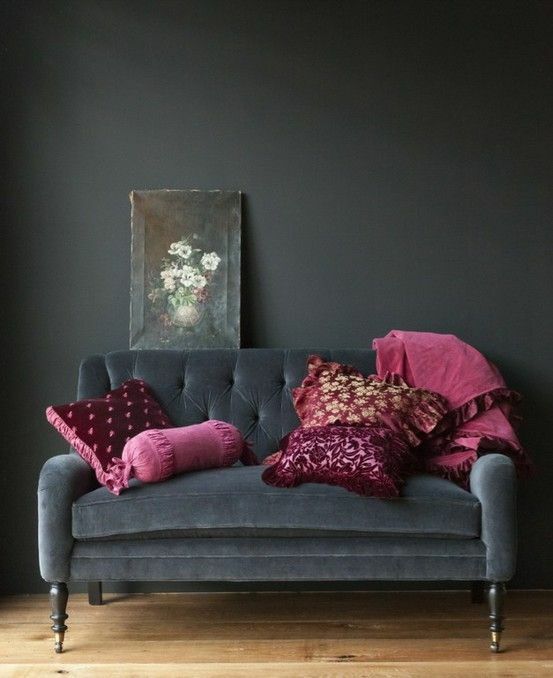 When using purple in your autumn palette, look for darker, more muted hues. With an earthy palette, it can be hard to make purple look natural, so go for deeper burgundies and bluer purples to add a striking contrast to other earthy tones. When using purple in your brand's winter palette, look for crisp blue-purples that are cooler in temperature. Purple is such a striking color that it can be especially appropriate in a winter palette with other extreme and dramatic colors. 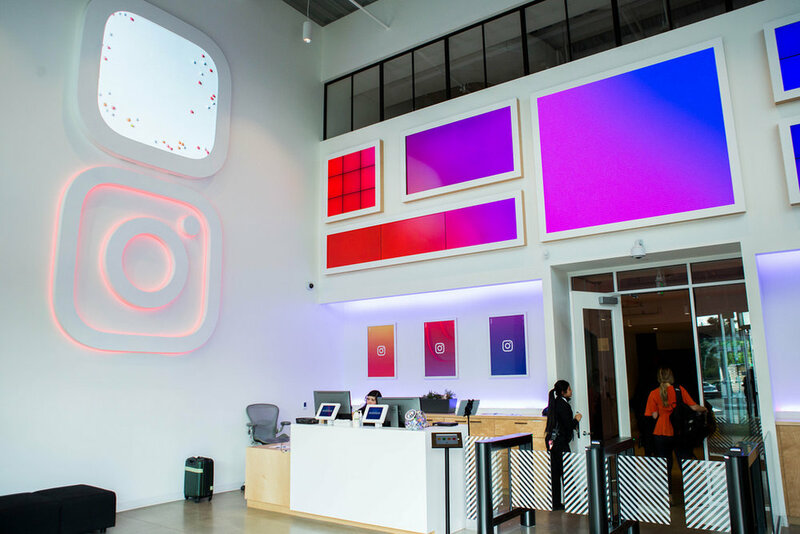 Instagram uses a rainbow of color in their brand palette to exemplify inclusivity and the setting sun. However, their rich violet tone certainly stands out. A major reason for such a bold and eye-catching purple tone is its gender-equality and widespread acceptance as a brand color. Paired with its aggressively red and calming blue counterparts, violet rounds out the palette and communicates the social media powerhouses' ambitiously innovative technology and inclusive digital community. 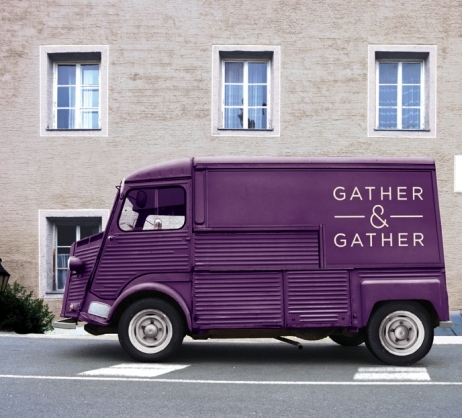 The rich purple tone of Gather & Gather is reminiscent of the beet root and a lovely complimentary to the yellow and green produce in their photography. 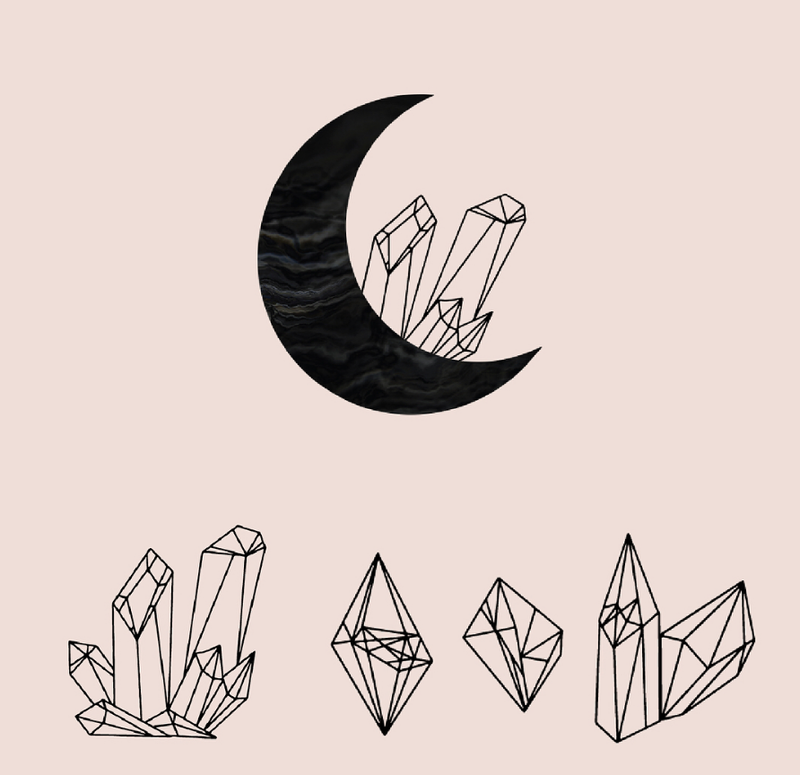 Moon Juice's brand purple is inspired by the spiritual and mystical powers of the amethyst stone. A wellness brand with a strong spiritual component, their crystalesque color tones give off the mystic and imaginative personality of their company and clientele. To be honest, I haven't worked with the color purple very often in branding projects. It's a difficult color to work with and usually doesn't find its way into mood boards very often. However, when working with Alexandria Monette on her wonderfully mystic new brand, an earthy mauve was the perfect compliment to her muted greens and natural tones!